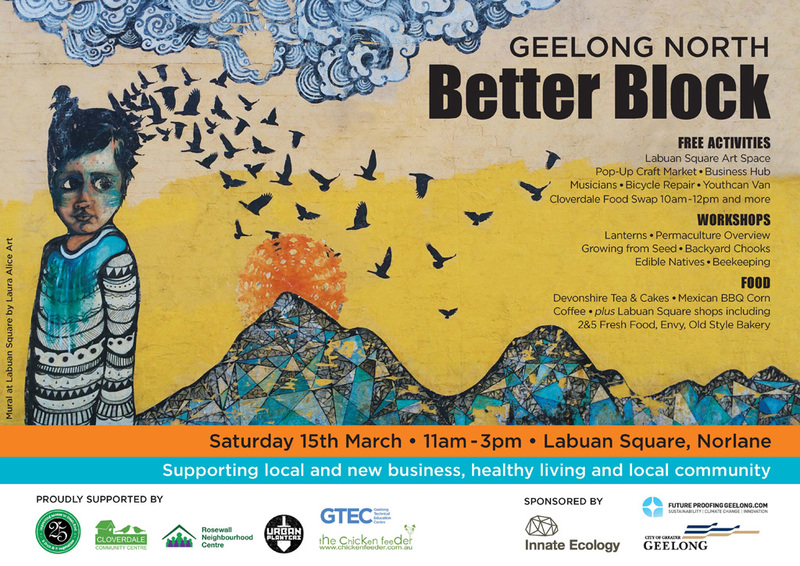 North Geelong Better Block – we’ll be there! Will you? Members of Cycling Geelong will be supporting this event with brochures, information and basic bike maintenance. Why not come and visit us? The event will be lots of fun. Park your bike, or come for a short bike ride with us. Chat to other people as you browse the market or sample the fine food and coffee. Bring some friends to share the day. Bike Ride – to Corio Bay, Moorpanyul Park circuit – 12:30pm. This entry was posted in Bicycle Advocacy, Club events, Sustainable transport by hlyth2013. Bookmark the permalink.